Market-based incentives in watershed management offer a sustainable means of conserving and improving the quality of water. Photo credit: ADB. Water quality in Qiandao Lake in Zhejiang, a province in the eastern part of the People’s Republic of China (PRC), has been deteriorating for decades. Also known as Thousand Islands Lake, the reservoir is a key water source for the densely populated and highly urbanized Yangtze River Delta. Efforts of Zhejiang alone to clean up the lake were not enough. It needed to work with Anhui province to improve management of the Xin’an River watershed, which provides 68% of the reservoir’s total water inflow. The national government helped work out an eco-compensation (short for "ecological compensation") scheme between the two provinces. 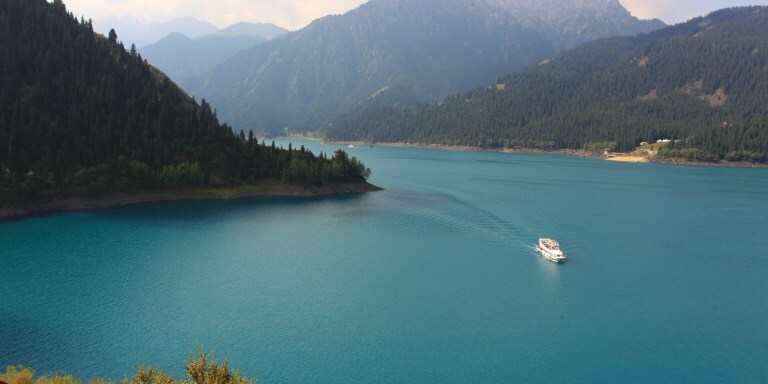 Eco-compensation has become an important national policy concept and buzzword in the PRC, embodying greater innovation in environmental management, such as the use of incentive-based policy instruments and the development of horizontal payment systems between provinces to resolve watershed management conflicts. Lauded as the PRC’s first trans-provincial eco-compensation program, the Xin’an River program represents a new phase in how the government is hoping to more effectively address the country’s severe watershed management challenges across provinces. 1. What are the challenges in managing trans-provincial watersheds in the PRC? Significant institutional and regulatory conflicts pervade water resources management in the PRC. These hinder effective basin-wide planning, monitoring, enforcement, and dispute resolution, particularly for trans-provincial watersheds. For example, as the primary institutions for interprovincial river basin governance, the river basin commissions are supposed to settle basin-wide water resources development and allocation matters. In practice, however, most of them have limited power and authority and often serve mainly as coordination and planning bodies. The most powerful commission, the Yellow River Conservancy Commission, exercises direct control over the major dams and reservoirs in the river basin; yet, it has limited authority or autonomy to act as a true basin authority, and has no control over land use planning in the watershed and other basin management concerns. It faces difficulties in effectively enforcing its water allocation plans—an area where it does have clear legal authority—as regional governments regularly over-extract water and do not leave enough for environmental purposes. Such challenges extend to water quality management, where there is a dearth of effective interjurisdictional dispute resolution mechanisms. The Guidance of the Ministry of Environmental Protection on the Prevention and Handling of Trans-provincial Water Pollution Disputes (2008) prescribes the prevention of such disputes at the source and the strengthening of communication, coordination, information sharing, and joint pollution monitoring between the relevant agencies, with the State Council as arbiter of last resort. Several regional coordination mechanisms have been established in response, including for the upper Yangtze River, Tai Lake, and Pearl River watersheds. However, to date, these efforts have had marginal impact on reducing the number of interjurisdictional pollution disputes. 2. How is eco-compensation envisioned to help address these challenges? Eco-compensation embodies several policy directions that may be used for tackling trans-provincial watershed management challenges. These include greater use of incentive-based policy instruments; more integrated, intersectoral, and interregional management frameworks; and expanding and diversifying funding sources by directly engaging with a broad range of stakeholders and economic actors. In line with this, the national government has been promoting transfer payment mechanisms between provincial governments. Several interprovincial eco-compensation mechanisms seek to improve management of key upper watershed areas to reservoirs by equitably distributing the costs and benefits of conservation between beneficiaries and suppliers of ecosystem services. These include agreed-upon water quality, water quantity, or land intervention targets; some level of joint monitoring and verification of interventions or outcomes; and systems of financial rewards and/or penalties based on performance. These approaches share similarities with payments for ecosystem services, an internationally popular environmental policy instrument, with the beneficiaries and suppliers of ecosystem services being the relevant provincial governments. It is hoped that such approaches, with the emphasis on collaborative and adaptive frameworks facilitated by fiscal transfer mechanisms, can help provide better incentives for conservation and water quality management, and create platforms for better stakeholder engagement, joint planning, decision-making, monitoring and verification, and dispute resolution for trans-provincial watersheds. 3. How did the Xin’an River eco-compensation program resolve trans-provincial issues? Water quality of the Qiandao Lake in Zhejiang province has been deteriorating and undergoing eutrophication, with algal blooms in 1998, 1999, 2004, 2005, and 2007. The 290-kilometer Xin’an River that originates from the upstream Anhui Province contributes almost 70% of Qiandao Lake’s water inflow. Containing 54% of the Xin’an River watershed and 77% of the population within the watershed, Anhui has also been a major nonpoint pollution source for Qiandao Lake. While strengthening the management of activities and land uses around the reservoir in Zhejiang was critical, equally important was the need for reinforcing the management of the Xin’an River watershed in upstream Anhui province. In 2004, the national government facilitated negotiations between Anhui and Zhejiang to develop a trans-provincial watershed management framework. Anhui had long argued that, as the poorer and less-developed of the two provinces, it needed support to improve water quality management for the Xin’an River and that the richer Zhejiang province, as a key beneficiary, should provide this. At that time, Huangshan municipality, which covers the Xin’an River watershed in Anhui near the border with Zhejiang, had a per capita gross domestic product of less than one-third of Hangzhou municipality in Zhejiang. Hangzhou, in turn, depended on the Qiandao Lake reservoir for water, while several of its counties were classified as provincial-level "poverty counties." On the other hand, Zhejiang argued that it already contributed a large share of its tax revenues to the national government, which should be invested in Xin’an River management. The province said it should also not be held responsible for investments in Anhui. To resolve these issues, the Xin’an River eco-compensation program included investments by the national government and put in place an innovative incentive-based payment mechanism between the two provinces. National investments comprised CNY250 million ($40.3 million) as part of program development during 2010–2011 and annual investments of CNY300 million ($48.39 million) in Anhui for 3 years, starting in 2012, to strengthen capacity. The incentive-based component involved annual payments between Anhui and Zhejiang based on water quality monitoring outcomes for the Xin’an River. Starting in 2015, if the water quality index measured at the provincial border in Jiekou township exceeds the benchmark, Zhejiang pays Anhui CNY100 million ($16.13 million) to defray management costs. If it does not exceed the agreed level, Anhui pays Zhejiang CNY100 million to defray added filtration costs. Neither province pays if no change occurs. The benchmark for water quality assessments has been set as the 2008–2010 average value of four water quality parameters: the permanganate index, ammonia nitrogen, total nitrogen, and total phosphorus. The program was launched in 2011. To date, the government has reported that water quality targets have been met, with water quality remaining stable. In October 2014, Zhejiang and Anhui held a symposium on their eco-compensation scheme, and reached a consensus to promote a new round of pilots for the further protection of Xin’an River and Qiandao Lake reservoir. This program is also serving as an important template for the development of other cross-provincial management frameworks, such as for the management of the Dong River between Jiangxi and Guangdong provinces. 4. Are there other trans-provincial eco-compensation programs in the PRC? Two other prominent examples exist. While not labeled as such, this may perhaps be the origin of trans-provincial watershed eco-compensation scheme in the PRC. Launched in 1995, it is an evolving cooperation framework between Beijing and Hebei province for the management and protection of the upper watersheds of Beijing’s reservoirs, which lie mostly in Hebei. The most important of these reservoirs, the Miyun, supplies upwards of 60% of the residential water needs of the Beijing city proper, and has two-thirds of its upper watershed in Hebei. This framework has included significant investments by Beijing in Hebei to improve conservation and mitigate rural land-use impacts on water quality and quantity. After 12 years of negotiation and research facilitated by the national government, Guangdong and Jiangxi provinces signed the Dong River Basin Upstream Downstream Horizontal Eco-compensation Agreement in October 2016 to protect the Dong River, a key source of drinking water for the Pearl River Delta economic region and Hong Kong, China. The 3-year initial agreement involves joint investments and annual payments based on water quality outcomes. It also stipulates the development of a platform for joint planning, decision-making, investment, and monitoring of water quality of the river. 5. What have these programs achieved so far? The programs have brought about more adaptive, interregional, and intersectoral management frameworks and protocols. Their records in achieving water quality and quantity goals may have varied across programs, but they have facilitated the employment by provincial and local governments of more process-based and learning-by-doing approaches to management. These programs are helping address remaining gaps in the country’s water resources management regime, such as barriers to effective monitoring and data sharing that prevent many locales from developing a comprehensive picture of the stressors and pollution sources of their watersheds, and therefore from developing effective management strategies. They are also helping to spur awareness raising, capacity building, and innovation at different levels of government. 6. What are the challenges that remain? Though the national government has been strongly promoting the development of horizontal eco-compensation programs, much remains to be done to create the right set of incentives and conditions for provinces to take the initiative in addressing trans-provincial watershed management challenges. For example, though the Xin’an River and Dong River schemes both have clearly defined providers and beneficiaries, and straightforward objectives, they required significant national government facilitation and investment to move forward. This shows the complexity of remaining institutional, legal, and regulatory barriers as well as of the PRC’s central-local fiscal system. In the development phases of these programs, both the downstream provinces—Zhejiang and Guangdong—were strongly opposed to making payments to the upstream provinces without major financial support from the national government. They argued that their tax contributions should be used to fund watershed management. The Xin’an River and Dong River programs offer valuable lessons for other emerging trans-provincial pilots—e.g., the water resources management efforts in the Chishui River Basin, shared between the PRC’s southwestern provinces of Guizhou, Sichuan, and Yunnan. It is, however, recognized that dependence on national government financing is not a sustainable long-term solution. Hence, the Chishui pilot is also exploring the role of the private sector and market-driven mechanisms in trans-provincial river basin and water resources management. Despite pushing the boundaries of innovation, ensuring that the appropriate policy and regulatory framework are in place to support trans-provincial eco-compensation efforts will continue to be among the challenges that need to be promptly and effectively addressed. Despite these challenges, trans-provincial eco-compensation remains high on the PRC’s agenda as an important instrument to further promote better inter-provincial cooperation for water and water resources management of large rivers and watersheds, such as the Yellow and Yangtze rivers. 7. What can international best practice add to trans-provincial watershed eco-compensation schemes? International experience has much to offer the PRC in terms of cross-border watershed management, both in terms of successes and lessons learned. One of the most important international examples is perhaps the European Union’s Water Framework Directive, which designated river basin districts based on spatial catchment areas rather than on political or administrative boundaries. The directive has facilitated the joint development of river basin management plans by the countries that share watersheds. Likewise, it has helped create protocols and platforms for joint management, decision-making, and conflict resolution among stakeholders, with process-based and adaptive management components integral to overall management. Asian Development Bank (ADB). 2016. Addressing Water Security in the People’s Republic of China: The 13th Five-Year Plan (2016–2020) and Beyond. Manila. ADB. 2016. Toward a National Eco-Compensation Regulation in the People’s Republic of China. Manila. ADB and the National Development and Reform Commission of the People’s Republic of China (PRC). 2016. Conference Guide for the 5th International Conference on Eco-compensation and Payments for Ecosystem Services. Kunming, Yunnan, PRC. 24-25 November. Brooks, Irene and Hongxia Liu. 2006. River Basin Commissions as a Mechanism for Mitigating and Resolving Conflict. China Environment Series. 8. pp. 202-211. Giordano, Mark, Zhongping Zhu, Ximing Cai, Shanqi Hong, Xuecheng Zhang, and Yunpeng Xue. 2004. Water Management in the Yellow River Basin: Background, Current Critical Issues and Future Research Needs. Comprehensive Assessment Research Report 3. Colombo, Sri Lanka: Comprehensive Assessment Secretariat. Lu, Huanchun. 2002. Study into the Agricultural Nonpoint Sources in Qiandao Lake Watershed and Their Ecological Effects. Dissertation for the partial fulfillment of doctor of philosophy in environmental engineering. Zhejiang University, Hangzhou, Zhejiang, PRC. Moore, Scott. 2017. China’s Domestic Hydropolitics: An Assessment and Implications for International Transboundary Dynamics. International Journal of Water Resources Development, in the forthcoming special issue Hydropolitics and Conflict Management in Transboundary River Basins: China and its Neighbors. Zhang, Qingfeng and Michael T. Bennett. 2011. Eco-Compensation for Watershed Services in the People’s Republic of China. Manila: ADB. Zhang, Qingfeng et al. 2010. An Eco-Compensation Policy Framework for the People’s Republic of China: Challenges and Opportunities. Manila: ADB. Zhang, Qingfeng et al. 2010. Payments for Ecological Services and Eco-Compensation: Practices and Innovations in the People’s Republic of China. Manila: ADB. Since joining the Asian Development Bank in 2010, Alvin Lopez has been leading initiatives on environment and natural resources management in the China and Mongolia. Prior to ADB, Alvin’s key roles included functioning as UNDP’s International Transboundary Advisor for an integrated lake basin management initiative in the Balkans, and over five years in the Mekong region helping integrate ecosystems, biodiversity and water resources management considerations into the sustainable development agenda. Alvin, who is also a joint lead author of the Millennium Ecosystem Assessment (2005) began his professional career in 1996, and holds a bachelor’s degree in Environmental Science and Management, and a Masters in Conservation Biology. Michael T. Bennett worked on conservation finance and market-based environmental policy approaches, including eco-compensation, in the People's Republic of China for over a decade. He holds a master’s degree in Agricultural and Applied Economics and a PhD in Environmental and Resource Economics from the University of Wisconsin-Madison.